Most popular phones today using MTP for transfering files, such as Windows Phones and android phones. "The Media Transfer Protocol (MTP) is an extension to the Picture Transfer Protocol (PTP) communications protocol that allows media files to be transferred atomically to and from portable devices. Whereas PTP was designed for downloading photographs from digital cameras, Media Transfer Protocol allows the transfer of music files on digital audio players and media files on portable media players, as well as personal information on personal digital assistants. MTP is a key part of WMDRM10-PD, a digital rights management (DRM) service for the Windows Media platform." 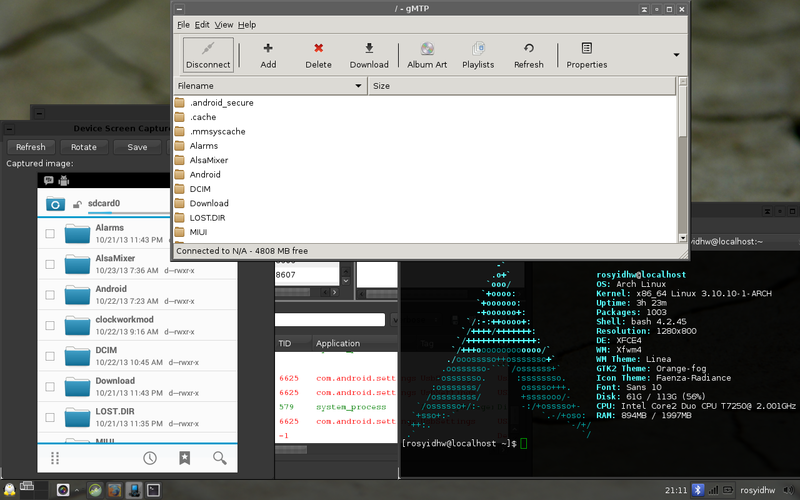 By default MTP is not installed on archlinux. So if you install some file manager, like PCManfm for example, when you connected the windows phone or android phone it will not detected. Now you can access your media files directly from connected phones (windows phones/android). Using any favourite file manager.